Gooey marshmallows holding together crispy rice cereal for that perfect sweet crunchy bite — it’s nostalgic and tasty! If you really want to take your treats to the next level though, dip them in chocolate. Add the mini marshmallows and stir constantly until the marshmallows have melted. Stir in a few drops of orange coloring and remove the pot from the heat. Mix in the cereal, being sure to stir until well coated. 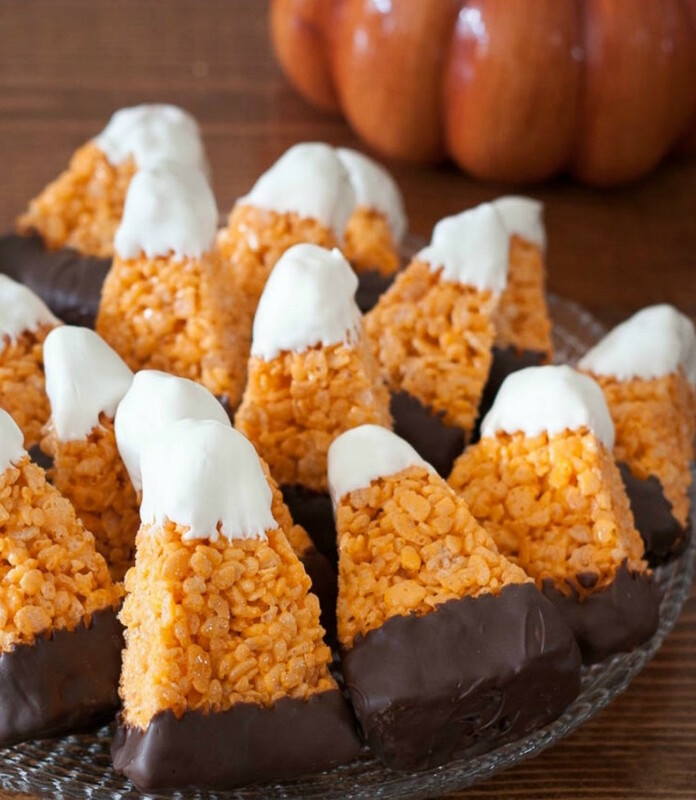 Press the treats into a buttered 11×13″ baking dish to set. 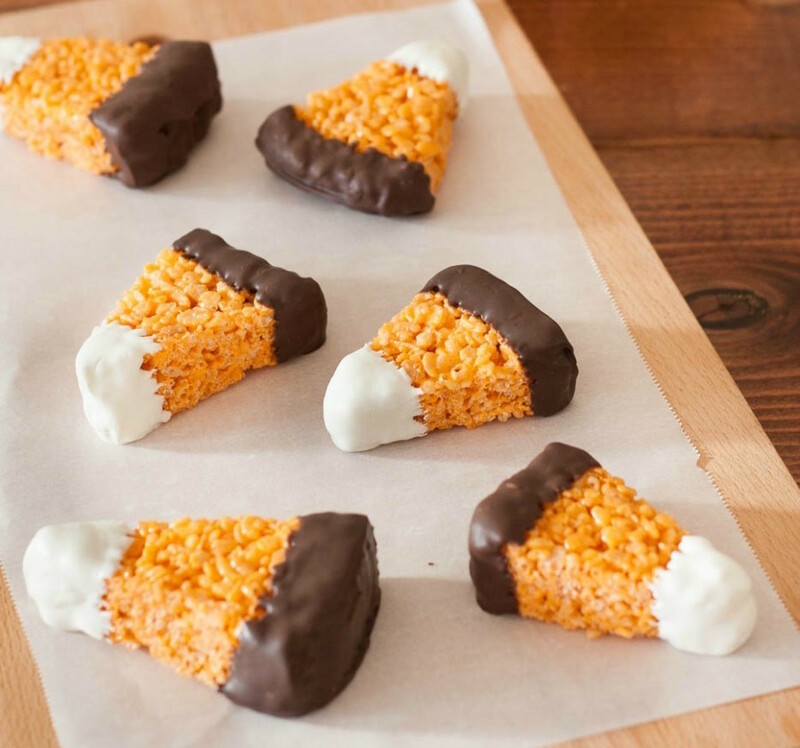 Once the treats have set, cut them into triangles and use your hand to gently round the corners for a more realistic look. Melt the candy coating according to the package instructions. Set out a silicone baking mat or wax paper. Dip the base of your treat triangle into the dark chocolate, shaking off the excess, then dip the top into the white candy coating. Place the treat on your mat to set.